Making it easy for you customers. The reason for creating a website is to provide information or products to a client. The reason why customers visit your website is to get information or the product faster. Making your site easy to navigate helps the customer complete their objective hence they are satisfied. A complicated website will only put them off and opt for one that provides solutions efficiently hence you lose traffic. Making it efficient by how a customer completes common tasks. The site needs prioritization by starting with the significant and common tasks for clients on mobile devices. A site that supports these features allows easy completion of the tasks by helping the customers complete their search objectives. A unified experience across all platforms is also necessary. Selecting a theme, template, or design that is consistent across all devices. This is the use of Responsive Web Design (RWD) where the page uses the same code and URL whether on a desktop or a mobile device. The only thing that should change is the display where it changes depending on the screen size of the gadget being used. Responsive to the size of the screen where one does not have to scroll horizontally to see full sentences. Avoids use of software that are not common with mobile phones. An example of such a software is flash. Places links far apart so that it is easy to tap without having to zoom the content. Uses texts that are easy to read without one having to zoom on the screen. 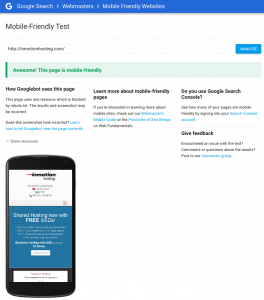 There are three ways of configuring your website to be mobile friendly. They are Responsive web design, separate URL, and dynamic serving. The responsive web design as mentioned before uses the same URL and same HTML code across all devices, but the content is displayed on the screen differently depending on the screen size. Separate URL uses different URLs on different devices, where the configuration detects device in use then redirects it to the appropriate page. Dynamic serving, on the other hand, uses the same URL across all devices but different HTML code for different devices based on the server’s knowledge of the user’s browser. Make your site visible to a great pull of customers by configuring your site to be mobile friendly since a large number of people use mobile phones to browse and you do not want to miss on that. Optimizing your website helps your visitors keep reading rather than putting them off. Once you put this into play and would like to check if Google itself deems you “mobile friendly” then head over to their free online tool here. The image on the right is the result you are looking for. 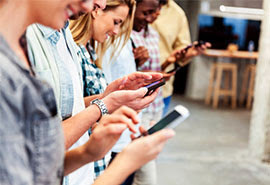 Google will give you the “green light” in letting you know you have developed your website well for mobile web users.